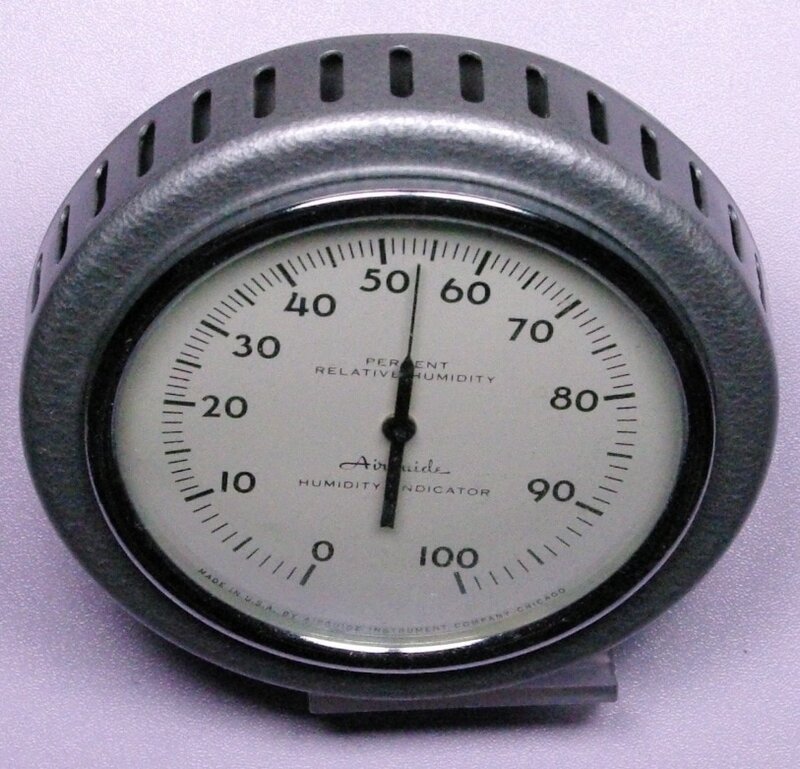 ​This Airguide hygrometer probably dates from the 1950s. It uses a metal-paper sensor coil directly connected to the indicator needle. The coil consists of a salt-impregnated paper strip attached to a metal coil. As the paper strip absorbs or releases moisture it causes the metal coil to wind/unwind, much like a bimetallic thermometer coil. The use of metal-paper coils is generally limited to inexpensive instruments as the accuracy is roughly +/-10% relative humidity. However, it does provide a qualitative indicator of humidity level for home use. Go to Airguide catalog page.